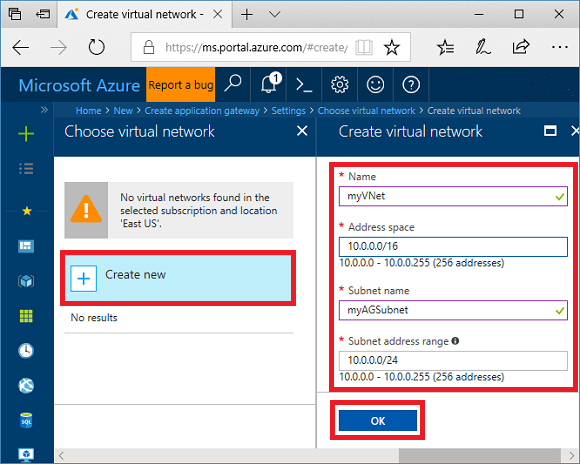 You can use the Azure portal to configure the hosting of multiple web sites when you create an application gateway. 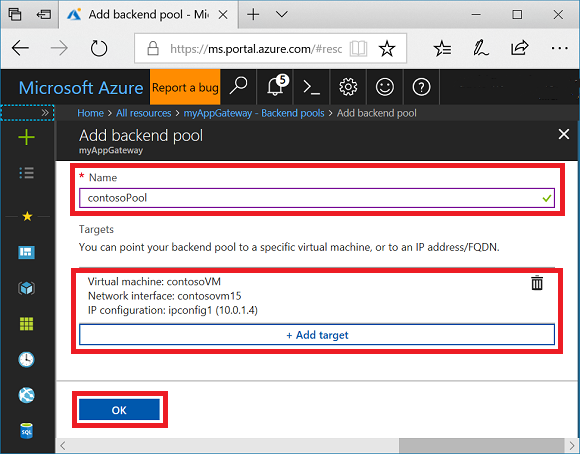 In this tutorial, you define backend address pools using virtual machines. You then configure listeners and rules based on domains that you own to make sure web traffic arrives at the appropriate servers in the pools. This tutorial assumes that you own multiple domains and uses examples of www.contoso.com and www.fabrikam.com. A virtual network is needed for communication between the resources that you create. 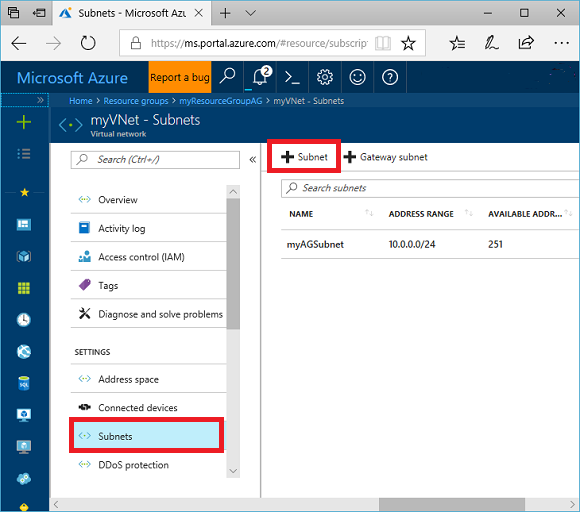 Two subnets are created in this example: one for the application gateway, and the other for the backend servers. You can create a virtual network at the same time that you create the application gateway. myAppGateway - for the name of the application gateway. myResourceGroupAG - for the new resource group. myVNet - for the name of the virtual network. 10.0.0.0/16 - for the virtual network address space. myAGSubnet - for the subnet name. 10.0.0.0/24 - for the subnet address space. Click Choose a public IP address, click Create new, and then enter the name of the public IP address. In this example, the public IP address is named myAGPublicIPAddress. Accept the default values for the other settings and then click OK. Accept the default values for the Listener configuration, leave the Web application firewall disabled, and then click OK.
Review the settings on the summary page, and then click OK to create the network resources and the application gateway. 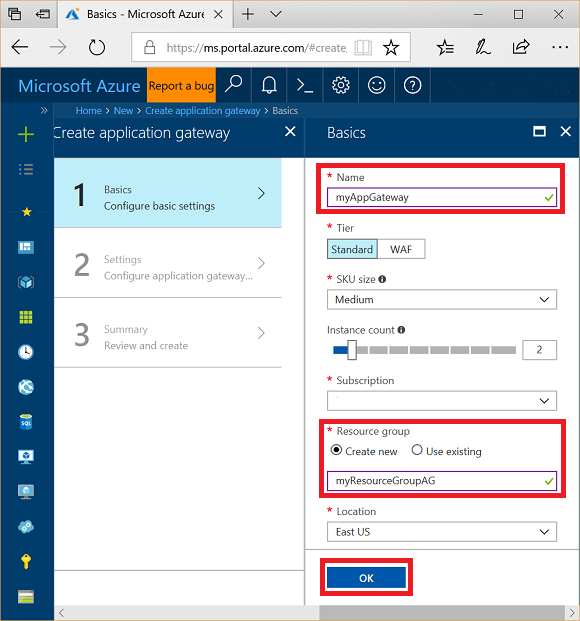 It may take several minutes for the application gateway to be created, wait until the deployment finishes successfully before moving on to the next section. Click All resources in the left-hand menu, and then click myVNet from the resources list. Click Subnets, and then click Subnet. Enter myBackendSubnet for the name of the subnet and then click OK. In this example, you create two virtual machines to be used as backend servers for the application gateway. You also install IIS on the virtual machines to verify that traffic is routing correctly. Click Compute and then select Windows Server 2016 Datacenter in the Featured list. contosoVM - for the name of the virtual machine. azureuser - for the administrator user name. Select Use existing, and then select myResourceGroupAG. Select DS1_V2 for the size of the virtual machine, and click Select. Make sure that myVNet is selected for the virtual network and the subnet is myBackendSubnet. Click Disabled to disable boot diagnostics. Click OK, review the settings on the summary page, and then click Create. 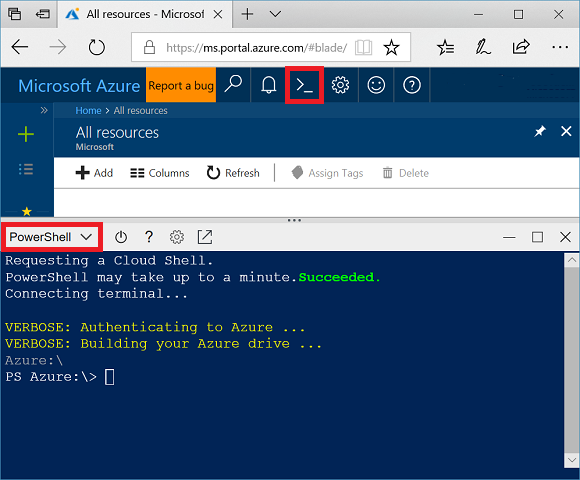 Open the interactive shell and make sure that it is set to PowerShell. Create the second virtual machine and install IIS using the steps that you just finished. Enter the names of fabrikamVM for the name and for the value of VMName in Set-AzVMExtension. Click All resources and then click myAppGateway. Click Backend pools, and then click Add. Enter a name of contosoPool and add contosoVM using Add target. Click Backend pools and then click Add. Create the fabrikamPool with the fabrikamVM using the steps that you just finished. Click Listeners and then click Multi-site. contosoListener - for the name of the listener. www.contoso.com - replace this host name example with your domain name. Create a second listener using the name of fabrikamListener and use your second domain name. In this example, www.fabrikam.com is used. Rules are processed in the order they are listed, and traffic is directed using the first rule that matches regardless of specificity. For example, if you have a rule using a basic listener and a rule using a multi-site listener both on the same port, the rule with the multi-site listener must be listed before the rule with the basic listener in order for the multi-site rule to function as expected. 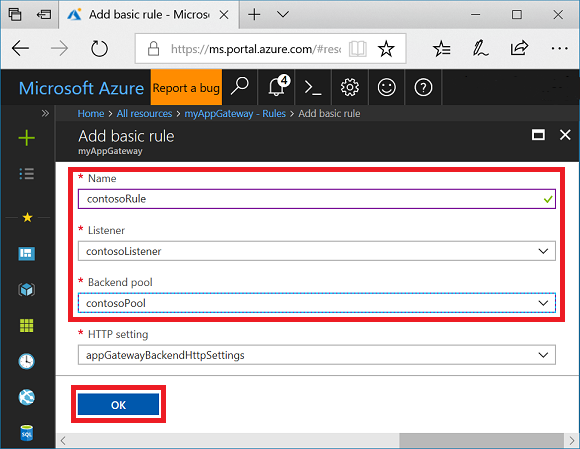 In this example, you create two new rules and delete the default rule created when you created the application gateway. Click Rules and then click Basic. Enter contosoRule for the name. Select contosoListener for the listener. Select contosoPool for the backend pool. Create a second rule using the names of fabrikamRule, fabrikamListener, and fabrikamPool. Delete the default rule named rule1 by clicking it, and then clicking Delete. After the application gateway is created with its public IP address, you can get the DNS address and use it to create a CNAME record in your domain. The use of A-records is not recommended because the VIP may change when the application gateway is restarted. Click All resources, and then click myAGPublicIPAddress. Copy the DNS address and use it as the value for a new CNAME record in your domain. Enter your domain name into the address bar of your browser. Such as, http://www.contoso.com.